Three foreign military powers, the United States, France and Japan, have military forces positioned in Djibouti and another two, China and Saudi Arabia, are set to establish bases there soon. Djibouti has a land area of only 23,000 square kilometers, a population of just 830,000 and no natural resources worth noting, yet it is becoming an important country in the international security arena. The US has the largest foreign military presence hosting some 4,000 personnel at Camp Lemonier. The second-largest foreign military presence in Djibouti is that of its former colonial power, France, with about 1,900 troops. Japan has about 600 members of its Maritime Self-Defense Force rotate between a land facility and naval vessels operating from Djibouti's ports, according to online magazine The Diplomat. China and Saudi Arabia recently joined in as well. In January, the People's Republic settled a deal with Djibouti over the establishment of military logistical facilities, China's first ever overseas military base. “Djibouti's geographical location is arguably what attracts foreign powers most. For one, being situated just beside the maritime chokepoint of Bab el-Mandab, Djibouti is a key node in the Gulf of Aden-Suez Canal,” The Diplomat reported. This trade route is crucial to the world economy as 20,000 ships, and 20 percent of global exports go through it yearly. In addition, the route is a conduit for the world's hydrocarbons trade, with almost 10 percent of the world's oil exports negotiating the Bab el-Mandab. The Gulf of Aden-Suez Canal trade route is particularly important to the two Asian powers interested in Djibouti: China and Japan. “Out of the 20,000-odd ships that ply the route yearly, a good 10 percent are Japanese. Similarly, China's trade with the EU amounts to $1 billion daily, most of which is seaborne and therefore has to use the Gulf of Aden-Suez Canal route,” the publication explained. Another factor of Djibouti’s attractiveness is its proximity to potential crisis areas. Djibouti's nearest neighbors include two hot spots: Yemen and Somalia. Both countries are either going through civil war or have terrorism thriving in its territory. Keeping Djibouti peaceful amid chaos is in the interest of foreign powers. “For the Americans, Camp Lemonnier is the hub for their Global War on Terror campaign in the Horn of Africa. 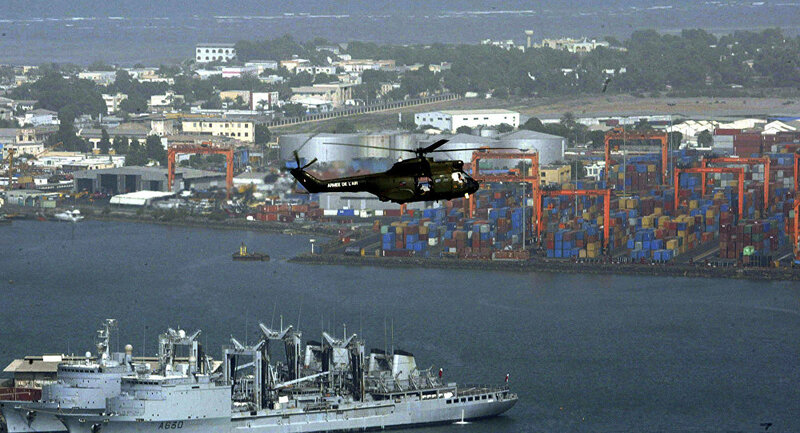 US counter-terrorism missions in Yemen, Somalia and other troubled neighboring countries have been launched from Djibouti. The same goes for American drone strikes against militants in Yemen,” The Diplomat wrote. For China, the base in Djibouti would enable the People's Republic to secure its growing economic interests on the African continent. These are but some of the pressing issues that analysts will take notice of as developments unfold in one of the world's most geo-strategically important regions.